The All of Us Journey visits Emporia, Kansas from Tuesday, April 30 through Saturday, May 4. Join us, the National Network of Libraries of Medicine, and the Emporia Public Library to learn more about the All of Us Research Program. Visitors will also have the opportunity to enroll in this landmark research program while on site. 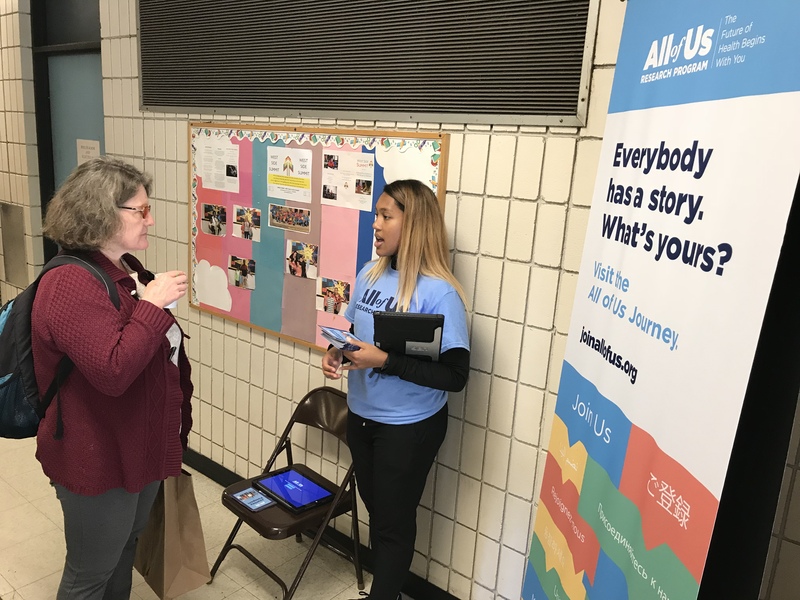 From Tuesday, April 30 through Friday, May 3, the All of Us Journey will be located at Emporia Public Library – 2023 W 6th Ave, Emporia, Kansas 66801. – Tue. 4/30 – 9 a.m. to 5 p.m.
– Wed. 5/1 – 9 a.m. to 5 p.m.
– Thurs. 5/2 – 7 a.m. to 3 p.m.
– Fri. 5/3 – 7 a.m. to 3 p.m. Please note a location change for Saturday, May 4. On 5/4, the Journey will be on site the Emporia Cinco de Mayo Festival from 11 a.m. to 6 p.m. The festival will be held at 716 Commercial Street.